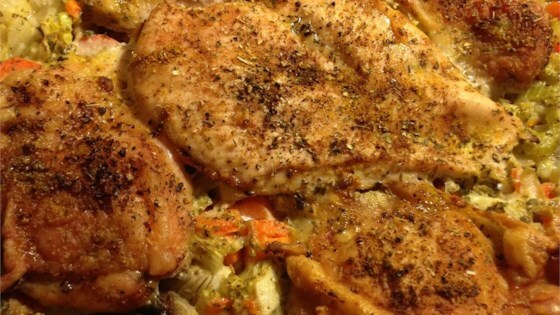 "This is a VERY simple, quick and tasty recipe, and a special treat for all of you thigh lovers out there in 'Chickenland'! (Note: Small thighs work better for this recipe. Sometimes I parboil the chicken, then remove my two cups of water from the pot)." I found this incredibly bland.